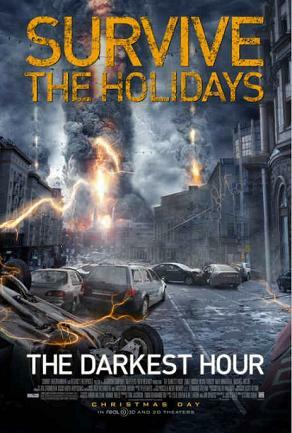 “The Darkest Hour” tells the tale of five young people who find themselves stranded in Moscow, fighting to survive in the wake of a devastating alien attack. The thriller highlights the classic beauty of Moscow alongside mind-blowing special effects from the minds of visionary director, Timur Bekmambetov, who did "Wanted". Based from the trailer, the earth invaders have a peculiar ability not seen before in any film we know off. That has us excited indeed. Anyway, you can catch the trailer of "The Darkest Hour" after the break. “The Darkest Hour” opens in theaters nationwide on January 25, 2012 from 20th Century Fox to be distributed by Warner Bros.